In order to reinforce its control of the Mongolian region and the defence of the country's northern frontier, the Qing government built the Mulan Hunting Ground, which is over 350 km from Beijing. Each year the Emperor would bring his ministers and his eight Standard Royal troops, along with his family and concubines, to hunt at Mulan. To accommodate this entourage of several thousand people, 21 temporary palaces were built, the Mountain Resort (also known as the Rehe Temporary Imperial Palace) and its Outlying Temples were one of them. In terms of the general layout, architectural styles, construction techniques, decoration details and garden landscape, the Mountain resort and its Outlying Temples represent the broad exchange and convergence between Han culture and the ethnic minority cultures, Confucianism and Buddhism, Taoism, also the architectural styles between China’s north and south. 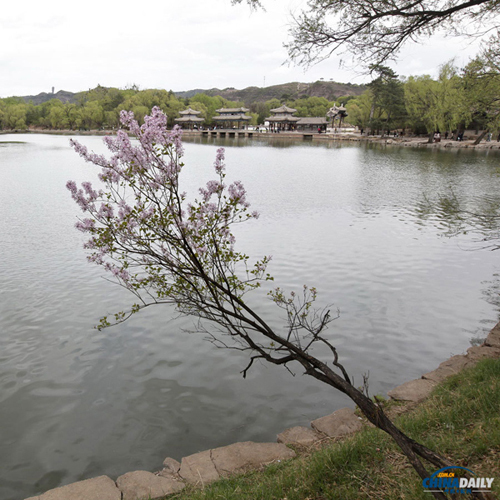 The Mountain Resort can be divided into four independent yet inseparable parts: the Palace area, the lake area, the plain area and the mountain area. The resort's most prominent landscape feature is that the mountains are sitting within the gardens, and the gardens are circled by the mountains. The massive project began in 1703 and ended in 1792, covering a span of 89 years. Although most buildings were damaged to ruins with the demise of the Qing Dynasty, it still remains China’s biggest existent ancient imperial gardens and temple complex. The Mountain Resort and its Outlying Temples were inscribed on the World Heritage List in 1994. After the establishment of the People’s Republic of China, three decades of renovation have saved dozens of the resort’s heritage sites. Some of the sites were reconstructed, while a significant proportion has maintained their original appearance, enabling visitors to appreciate the true value of the cultural and historical landscape. Jia Yue, 36, who got a bachelor's degree in engineering from Tsinghua University in 2000 and later a master's degree in film studies from Beijing Film Academy in 2005, is now working with Tsinghua university's cultural heritage protection research institute. He is also a lecturer in the school of Photography of Beijing Film Academy. From 2005 to 2012, Jia organized and completed the systematic visual recording works for dozens of cultural heritage sites, trying to introduce the concept of documentary photography into the cultural heritage protection system and to further explain the value of heritage through visual works. The relationship between heritage, nature and human beings has been Jia’s focal point. The combination of photographic language and historical perspectives is regarded important, which unifies Jia’s dual roles as both a photographer and a heritage conservator. What Jia wants to achieve through his shooting is that the historical value carried by the cultural heritage can be felt and absorbed at the highest level.